I’m excited that the next season of Seeking Sister Wife has premiered! I was pretty surprised to learn that the Brineys weren’t going to be on this season. I knew April was living in Utah again but I assumed that her leaving Oregon would end up being nice juicy gossip for the TV show to capitalize on. Well, despite the Brineys not being on it looks like the show will have no shortage of interesting material. I don’t have cable TV so on Sunday night I was trying to figure out how to watch. Luckily Amazon video has it, altho Season 2 costs a lot more than Season 1 did. I guess that’s how it goes when a show is more established. Either that or it’s the 13 episodes we’re expecting versus the 7 episodes we got in Season 1. This season has our familiar Snowdens and Alldredges and we also get to meet the McGees and the Winders. I don’t personally know the Snowdens or the McGees at all. I know the Winders from Facebook but we’ve never met in person. I personally know the Alldredges as well as the Brineys. Last season I thought knowing both those families would be an advantage when it came to writing my blog, but as it turned out, I always felt the need to censor myself for the sake of our friendships. In fact, one time when Joshua wrote his opinion about a Briney situation, he ended up writing a follow-up apology post for the sake of his friendship with Drew. This episode had plenty of interesting things to talk about. I made 4 pages of notes while watching, and I only had time to turn a fraction of them into a blog post before the next episode aired. Here are some of the thoughts I had about it while watching. I find this interesting because we are somewhat in that category as well. We are a unique blend of Messianic and Mormonism so I’ve taken to calling us “Messianic Mormons.” We believe the Bible cover to cover, as Bernie McGee says they do, but we also believe the Mormon scriptures cover to cover. How sad that the McGees’ house burned! We once had a house fire, altho not nearly as devastating. Ours was 100% my fault. I left a batch of beef bones boiling on the stove while we went camping for several days! Obviously the water boiled away long before our return, and the bones smoldered, causing what’s called a “protein fire.” The professional from the disaster clean up company had been doing his job for decades and told me it was the worst protein fire he’d ever cleaned up after. We came back from our camping trip and walked in the house and it smelled like a thousand burnt dinners. I realized immediately what had happened and I ran over to the stove, carried the pot outside, and set it down on the cement pad in the backyard. I removed the lid and what was left of the bones burst into flames! The lid had fit so tightly on the pot that no oxygen was able to access the bones. If we had been less fortunate, very likely our house could have burned to the ground while we were out of phone service. I have always said my guardian angel was sitting on the lid, keeping it tight-fitting enough to keep any air from accessing the smoldering bones. Some of the cleanup included cleaning everything (and I mean every single book and toy and other items), replacing the countertops, repainting the entire house, “ozoning” all of our clothes and every room, and replacing items that were too close to the stove or stubbornly refused to give up their stench. I can scarcely begin to describe the smell that permeated our home and everything in it. I used to hate the smell of smoke. I would avoid campfire smoke, and the minute we arrived home from a camping trip, I kept everyone from relaxing on couches or beds (because they would contaminate them) and instead they had to strip down in the laundry room (without their clothes even being dropped on the carpet) and get right in the bath or shower. But the smell of our protein fire was so much worse (not just stronger but much more terrible) that, I kid you not, campfire smoke now smells pleasant to me. Not only did the protein fire smell awful, but it permeated everything like you wouldn’t believe. When we got home, we were in the house for half an hour with the doors and windows open and fans turned on, imagining that the house would air out and the smell would eventually dissipate, but instead the smell only grew stronger in our nostrils. We realized we couldn’t sleep there that night and we arranged to go to my parents’ house for the night. When we arrived at my parents’ house, we learned that simply from being in the smelly house for a short while, we had picked up the offensive smell. I had brought some unworn clothes from our closets, planning to launder them in my parents’ washing machine before wearing them, but the smell traveled from the laundry room up to the kitchen and I was asked to move the clothes outside until washing. The smell that got transferred from our contaminated bodies to our car during the hour-long drive took weeks to disappear. A rubber ball that had marinated in the fumes ended up getting taken to my parents’ house by one of our children. It was kicked around my parents’ backyard for a year, never losing its disgusting odor, before someone gave up on it and finally threw it away. The experience was educational and in many ways it could have been worse. When we first bought the house, we had opted for a $10,000 deductible on our homeowners’ insurance, mostly out of habit, since we had liability-only car insurance and high-deductible health insurance. Some time later, my parents’ bedroom ceiling caved in due to unseen water damage, and I realized that even tho we might use doctors and car insurance less than the average person, our chance of needing to make a homeowner’s insurance claim was not lower than average, and when the time came that we needed to use it, we would be sorry about having such a high deductible. So, we called the insurance company and lowered our deductible to $1,000. Not long afterwards, the protein fire happened, and the cleanup required 2 weeks’ professional help, hotel stays, and replacing personal items. I don’t remember what the total bill was, but it was probably close to $10,000. Luckily we were only responsible for the first $1000. I don’t think Paige is emotionally ready for the challenge of plural marriage. I wish I had time to elaborate, but Joshua already wrote a post about it called “Polygamy’s Jealousies and the McGees”. However, I am quite impressed that she is willing to live in a camper while looking for a sisterwife, for the benefit of being flexible enough to move if that’s what the potential wife wants. In the cases of polygamy I have seen, the new wife joins the family and in doing so chooses to join the family culture and whatever setup the family has. When Enoch Foster married Lydia (a little of their courtship was shown on Three Wives, One Husband), she got to become a part of an amazing family with organization and resources that had been in the process of being set up for 2 decades. In her case I could see the real benefits of being the 3rd wife! I’ve never heard of an established family being willing to join the new wife, rather than the other way around. That part of this episode was pretty interesting to me. I loved hearing the story of Paige’s conversion to polygamy. I want conversions to come from something inside or from God, not from another person using logic or scriptures to convince us. The McGee boys are extremely charming. I love the conversation they have where younger brother Kyle says he’s looking forward to having another mom, and older brother John tries to figure out what that role is called. Hey, boys, how about the word maunt? Very often we hear about wives’ jealousy over their husbands. Much less talked about is the jealousy over their children. Paige McGee says it could possibly be hard for her to see her sons develop that relationship with her sisterwife. In a country where so many children are raised by only one parent, I think it’s beautiful and extraordinary for a child to actually have more than two parental figures that love them and are invested in them and help raise them. I believe this has the potential to be a powerful advantage in the children’s lives. I would hope any jealousy over that issue wouldn’t keep a wife from pursuing polygamy. Moms ideally do what’s best for their children, consistently, whether they enjoy it or not. Vanessa’s molar pregnancy is mentioned. I wrote about it in this post, which includes ultrasound images and details about Vanessa’s experience. If you’re interested in what happened, go ahead and read it over there. The Alldredges discuss their “dream” home and the lodge they’re finishing. They ideally want each wife to have their own bedroom wing (to “provide for some privacy”) but to share the main living spaces. This is one example of many possible housing situations. The Winders have another housing situation of living in completely different towns. 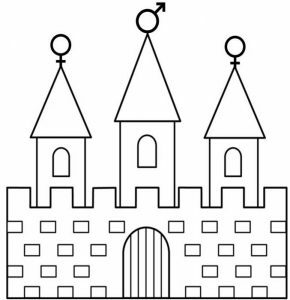 Our current house has separate living spaces but they’re connected on the inside, so family members can freely move about and be where they want to be, but the wives still get to be queens of their own castles. Personally, I prefer this and so do Melissa and Joshua. (We lived in different counties for 5 years before moving in together last year.) Joshua discusses housing arrangements in this post about the Brineys’ living situation in Season 1. We don’t entirely fit into that category (for several reasons, but partly because of the whole “Messianic” thing mentioned above), but we have enough in common with Independent Mormon Fundamentalists (IMFs) to have some close friendships with people who consider themselves IMFs. “Mormon Fundamentalists” describes the belief system and “Independent” simply means they’re not a member of any organized group. I find Colton’s story interesting — I’m paraphrasing but he basically said that since the early LDS Church believed in polygamy, it didn’t make sense to change that belief, so he had to either give up on the Church or really embrace the fundamentals. Colton goes into more detail about the different flavors of Mormonism and his family’s beliefs on the Winder family blog in this post and this post, the second of which includes some nice Winder family photos (including Colton with a beard). Tami’s story is interesting as well, how she believed in plural marriage but thought it was something she wouldn’t get to practice until heaven. I don’t think I’ve ever heard a story of a couple who found out after marriage that they both believed in polygamy, were pleasantly surprised, and then started living it. The Snowdens have a conversation about what happened “last time.” Joshua wrote a post about it. There were many other things I wanted to comment on, such as Vanessa propping her phone up to take a family photo, even tho they were surrounded by professional cameramen. And the charming comment Tami Winder gave about how she was initially attracted to Colton for “his looks, obviously.” And the sad fact that our friends the Alldredges ditched us and moved to South Dakota. :’-( And Bernie’s overly optimistic statement that he doesn’t want to see hurt in his wife’s eyes again. And how I love that Ashley Snowden was nursing uncovered and then was wearing her baby on her back. I was also planning to give some observations about the obvious video editing that ended up making things awkward and unrealistic. Well, I only had time to write up about a tenth of what I planned to. Such is life, but I want to move on to the next episode, so I’m going to go ahead and publish this post, incomplete as it is. See you in the next one. Out of interest, here is the total amount of screentime each family had in this first episode (not counting the teasers like “Coming Up”). plus 4 minutes, 45 seconds of “Last season on,” “Coming Up,” and “And Later,” and the closing credits after the last scene faded out to total 42 minutes, 33 seconds in the episode. What did you think? I’d love to hear your thoughts. Leave your comments below. I live in the house from Seasons 1 and 2 of Sister Wives. The house was built with a plural family in mind and has 6000 square feet with 3 separate “apartments,” all connected on the inside. They live in a ranch-style home that, although interconnected, is subdivided into three separate apartments that give each wife her own bedroom, kitchen and living space. One of the funny things about living here is that I get mail for Kody, Meri, Janelle, and Christine Brown on a regular basis. I’m sometimes tempted to see if anyone on eBay would like to buy it as an amusing souvenir, just like I’m tempted to save it up for a few days and upload to this post a photo of all of it, but both those things seem like an invasion of privacy that I wouldn’t like done to me (golden rule and all that), not to mention it might be illegal (USPS and all that), so I will refrain. Or another option if you haven’t seen it yet: here is a 3-minute video from Sister Wives that will take you on a brief virtual tour. The house was formerly only the 2 apartments on the right, but from what I understand, the man who owned it before Kody Brown added on the 3rd apartment. I live in the upper right part of the house, the one in which Meri lived with her daughter Mariah. The plan is for my sisterwife to move in with me this summer; she’ll live in the apartment Janelle was in (the whole left side). One day, before we bought it from the Browns but after they had moved away from Utah, they were back at their Lehi house for a visit with some mutual friends and us, and some of their fans drove by. They knew the house and recognized their car as the Browns, so they decided to try their luck, and they stopped and got out. Joshua (my husband) was outside at the time, and he came inside to tell Kody and Meri some of their adoring fans wanted to meet them. Kody refused to go out and meet them — he said he didn’t want to encourage strangers to show up at his house, but he was happy to talk to fans when they saw him in public — but Meri was nice and went out to pose for a photo or give her autograph or whatever. We don’t generally tell friends and acquaintances the history of the house before they come for a visit, but people occasionally recognize it when they arrive here for the first time. That experience was kind of funny, and not an isolated incident. Another time, we gave some friends permission to host a charity yard sale here (the yard is big, there’s plenty of parking, and the city is more centrally-located than where they live) and one of the families that came all the way from Davis County to support the yard sale recognized the house from the TV show. So far I’ve been living here for about 18 months, and we haven’t lived here as a plural family yet, but I’ve still loved living in a house like this one, and I’m constantly baffled that more people (monogamous or polygamous) don’t build houses with similar layouts. The other people that live here and I are able to be supportive of each other without having to go through the difficulties of sharing living space. Over the holidays, we had a couple of out-of-town families stay here, and they were able to come and go between the 3 apartments as they wished, depending on who they wanted to visit and what they wanted to do. Janelle’s old apartment has an 800-square-foot kitchen that we’ve stashed lots of tables and chairs in, which we often use for events (such as our weekly fellowship, family parties, and our celebrations of the Biblical feasts whenever we extend the invitation beyond our immediate family). The lot size is slightly more than an acre, so there’s plenty of room for what we want to do with the land. (1 acre might not sound like a ton of land if you’re a farmer, but it’s the biggest piece of land I’ve ever owned.) So far there are some fruit trees, a shed, a garden, a “forest” for the kids to play in, a big yard with a sprinkling system, 2 back decks, and a parked family member’s school bus, which is slowly being converted into an RV. Right across the street is a field with horses, which in my opinion make excellent neighbors. Even though it feels rural here, we’re within 5 minutes of the freeway onramp, our bank, and major shopping such as Costco, Home Depot, and Walmart. The apartments my family doesn’t currently need have been pretty easy to rent out to extended family/friends. The neighbors are sympathetic to plural families, which is extremely nice. Note: I’ve never actually watched Sister Wives, so please forgive any errors about the TV show. Feel free to leave a comment correcting anything I got wrong.